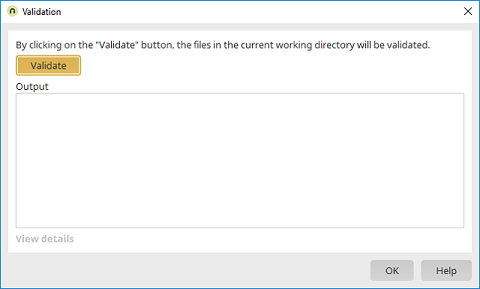 Clicking on this button triggers the validation of the files in the working directory. During this, the schema of XML files is checked. Validating is a good idea if files were changed. This action is available for applications and processes. This link is available if an error occurred during the validation. Clicking on this link opens a dialog where the error details can be viewed.